On today’s show I discuss making Chicken Satay with Thai Peanut Sauce. Simple techniques with bold Thai flavors make this the perfect party food. 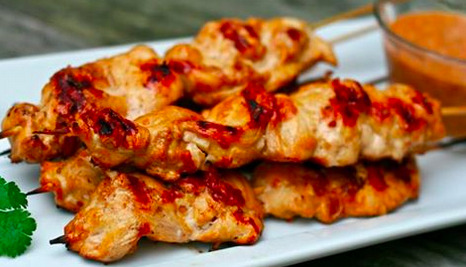 Juicy chicken thighs skewered and grilled become amazing once drizzled with the peanut sauce. « 272-Roast Beef W Garlic Confit Butter, Blue Cheese & BBQ Sauce-YUM !